The dazzling limestone façades of the churches of St. Giorgio Maggiore’s Church and the Redentore’s, glaring against the shimmering blue waters of St. Mark’s Basin, are undoubtedly one of the most extraordinary and stunning sights in the city. 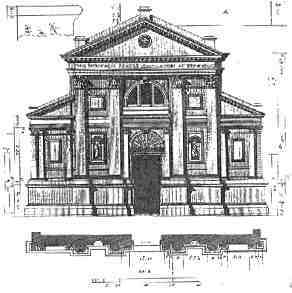 Both churches are the brainchild of one of the most ingenious architect ever: Andrea Palladio. 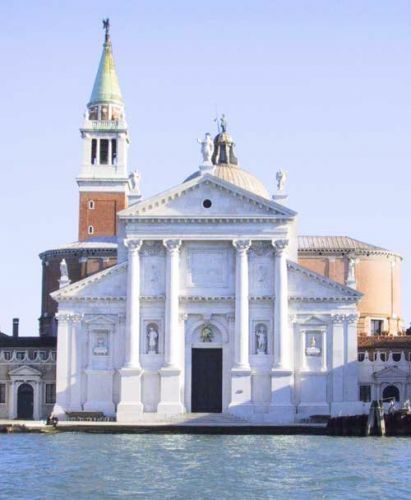 San Giorgio’s was designed for the ancient and prestigious wealthy Benedectines residing on the Island, while the Redentore’s was commissioned by the government of the Serenissima to thank the Redeemer following the catastrophic pestilence in 1576. The church became the destination of a solemn aquatic procession to remember the city’s deliverance from the plague. On the Island of St. Giorgio, and then on the Giudecca, you can admire the grandiose and rational proportion of the two buildings. On St. Giorgio, of course, we won’t let you miss the opportunity of a visit up the belltower from where you can enjoy the best panoramic view over the city and its lagoon. St. Giorgio’s Maggiore belltower: € 5,00 p.p. 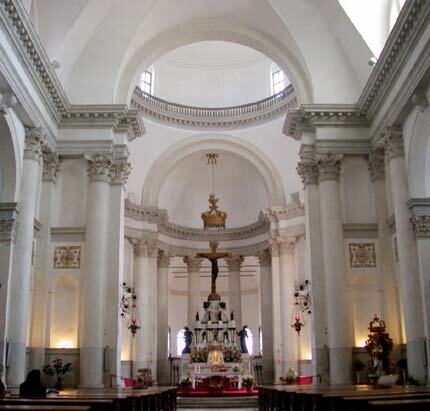 Redentore Church: € 3,00 p.p. As far as transportation to the islands is concerned, we recommend buying a ticket for public waterbuses.